I recently sat down with Jamie Robertson, the UK CEO at Roasting Plant, to discuss the opening of the new store as well what the future holds for Roasting Plant and, more broadly coffee shops in the UK. What makes Roasting Pant different to other coffee chains? The reason I wanted to get involved is that it is completely innovative in the coffee market. There is nobody else that can roast coffee in every single store and offer customers a fresh cup of coffee. People can absolutely taste the difference, so it is not a gimmick. There are roasters that start off as a roaster, and then they scale and try to service their other stores from that roaster, and then all of a sudden, they get beyond 10 stores, and quality declines. Whereas in our model, we can scale and replicate that through automation in every store. We can pretty much guarantee the consistency of the product because it is automated. What are Roasting Plant’s growth plans? We don’t want to scale rapidly, we want to scale sustainably and get the right locations. Retail is all about getting the location right, and we want to do this profitably and ensure that the business looks after customers that it gains. We want to ensure that our quality of service won't decline, which is hard to do when scaling quickly. If we look at competitors that have grown quickly, they don’t have consistency across their chain, particularly in the coffee market where they are reliant on fallible human beings. Is there a focus on London? London is going to be our priority in the short term. Operationally it’s the easiest thing to do as the market is so big. Clearly London wants it; we have had such an alarming response since we opened, people are loving it! So the launch was a success? Do you have any concerns about market saturation? No, it is still a growing market, it is right for a scalable, specialty coffee player that can bring brilliant coffee to the masses, and that’s really the intention. What challenges will you face while penetrating the UK market? Clearly Brexit is an issue for staff. But I do believe the UK is creative and innovative and generally finds solutions for problems. The fact that we are a fun, different brand means that we haven’t had a problem recruiting good people. The people have been attracted to us. We will have to work hard to keep them happy and enthusiastic as everyone will have to do. People have been intrigued by us so that is a good thing. We are lucky in the UK to have a great food supply chain, but again Brexit is a worry on that front. Everyone faces all of these issues though, not just Roasting Plant. We live in interesting times and there is a lot of background noise. But if you believe in your product and service, you trust that consumers do appreciate difference. They are constantly looking for the new and exciting, and if you can deliver something that delivers on its promise, there is still opportunity out there. Look at Nike and Reebok. Who would have thought that Under Armour would be an amazing next new brand in the sporting market? There is always room for a new player. We have a very good team of people in the States and the UK, the UK is full of very talented people. We worked with KKD design to help reposition the brand identity and the retail footprint, and it has done an amazing job. Attending the launch last week was a joy, not only because of the impressive Javabot, but it was refreshing to see such an innovative brand begin its journey in the UK in a challenging market. LDC data shows that leisure saw a significant net decline in 2018, the first decrease for four years. However, coffee shops were resilient to this trend due to the increase in popularity and cultural shift towards going for a coffee rather than a pint. 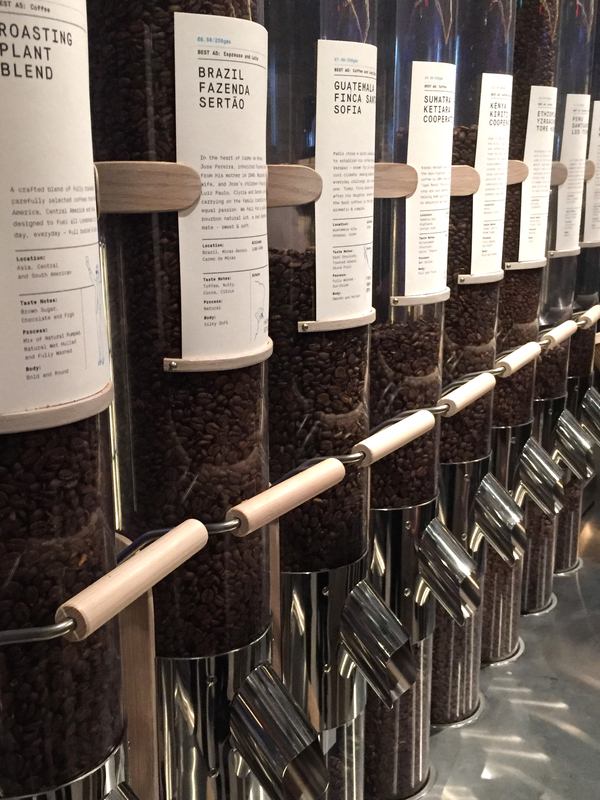 As Jamie eluded to, brands are having to go above and beyond to thrive in this challenging market, and this is precisely what Roasting Plant are doing. We can’t wait to track the future growth of Roasting Plant and wish them huge success with their network of stores.